These days there aren't many jackets that will fit over my cast. 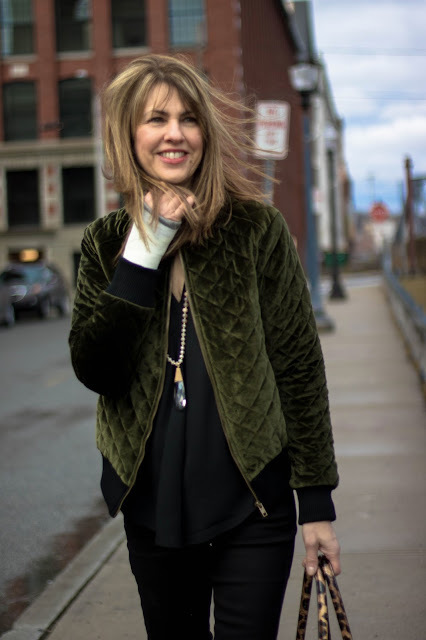 So when Shein sent me this fabulous green velvet bomber, I was thrilled that I could wear it--cast and all! Being new to this line, I didn't quite know what to expect, but I was thrilled at both the price-points (this jacket is just $29) and styling. Their website is chock-full of great pieces at incredibly low prices! I paired the jacket with a simple black silky top (similar HERE and HERE) and Joe's black high-waisted jeans. This fabulous necklace was a recent find at TJ Maxx. Their jewelry selection is amazing and now you can shop online! Here are some super reasonable pieces I love HERE, HERE, HERE, HERE and HERE (so many great necklaces!!!). I've got this thing for buying consignment bags. I can't seem to stop myself and I'm running out of storage space! 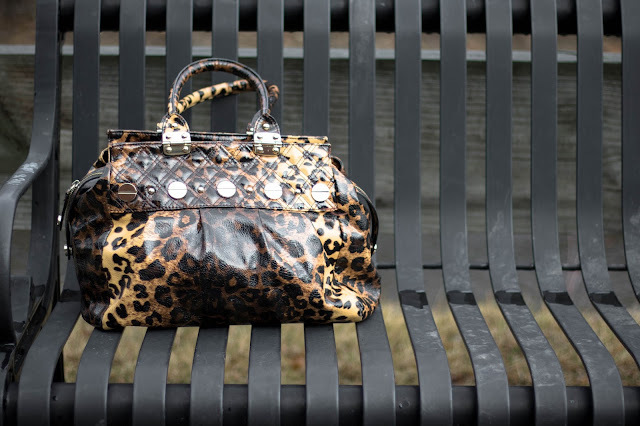 I bought this patent leather animal print bag several years ago. Here are some other unique animal print bags HERE (smaller) and HERE (SOOO cute!!!). I find a block heel to be so comfy. Similar black block heel pumps HERE and HERE. These photos were take with my first cast...now I'm on to cast #4. The last few weeks have been a long haul. Signing off---see you soon. Thanks for stopping by! 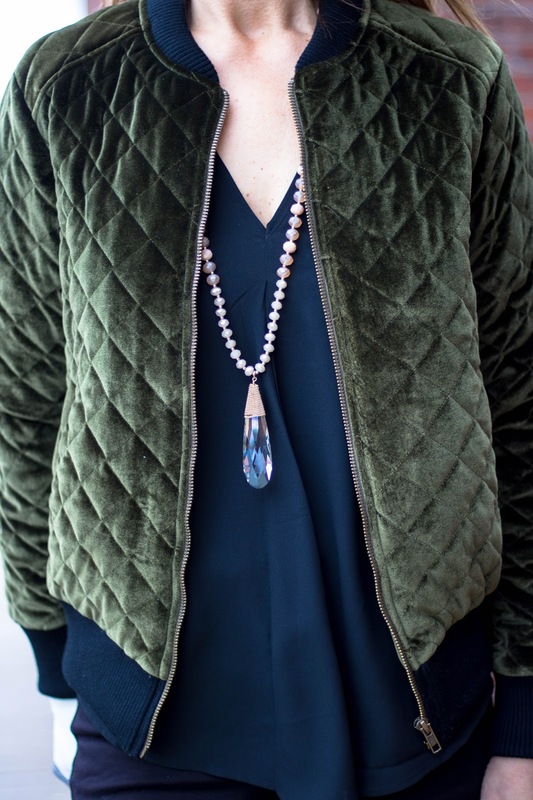 Some links in this blog may generate a small commission and the Shein jacket was gifted. However, the content of my posts are based on my own honest opinions and are not in any way influenced by partnerships.